Over the last few years we have seen significant, global, often disruptive, change in the technological and social environment within which National Mapping Organisations (NMOs) operate. These changes will continue to have profound effects on both: the way geographic information (GI) is captured, managed, traded and used; and the role and function of national mapping agencies. living and working, climate change, aging populations, competition for scarce resources, asymmetric warfare and the effects of globalisation. Tackling these “grand” challenges requires unprecedented local to global collaboration, between governments, businesses, communities and ourselves as individuals. Whilst the technological developments have led to an explosion in the availability of data, captured and served by many, they have made the information management task, in tackling such grand challenges, more complex. 1. Provide geographic information frameworks as a critical means of ordering and managing information complexity, most of which resolves to location or place. This is an essential requirement in enabling local to global collaboration across government, businesses and third sector communities in addressing grand challenges. The recently published UK Location Strategy Place Matters: the Location Strategy for the United Kingdom begins to set out that geographical framework for the Nation. Endorsed by British Ministers phrases such as “In almost everything, people need to know when and where things happen: place matters” are now common place. User generated content can also ordered within these frameworks thus making best use of information collected. ingredient – a role NMOs are familiar with. 3. Provide for ease of use and ease of access to geographic information at users time, point and context of need. Providing the right information at the right time in the right way to meet users’ expectations in a given situation is a requirement of good information service design and one NMO’s are beginning to address. Whilst the technological developments have led to an explosion in the availability of data, they have made the information management task more complexed. encourage open and user led innovation from communities of users in government, business and the third sector. Both business and social value can be derived from these networks, growing the market for GI and quality of life for a globalised population. Ordnance Survey’s OS OpenSpace is an experiment in just such an innovation platform. The challenge for NMO’s going forward is to provide the information frameworks, innovation platforms, ease of access and ease of use of accurate maintained geographic information which are needed to address local to global challenges, effi ciently and effectively. Despite the economic gloom and challenges currently confronting the whole world, I believe the use of geospatial information will continue to grow, and grow rapidly. Why do I think so? As countries put more people and things into cities, the urbanization of cities will increase the complexity in land usage. As cities become densely populated and well developed with modern infrastructures, we can expect more geospatial information to be available for capture. More help is then needed to manage and analyse the vast information. The content of information also changes over time and that too has to be managed. I can see the transformation happening in Singapore too. Singapore is adding more road and rail infrastructures. More lands are re-developed with higher intensifi cation. We are using the subterranean space more intensely than more. Hence, information over different levels of space (e.g. from subterranean, to ground level and into the airspace) will be captured. In short, the supply of geospatial information will continue to grow in scope and quantity. Information will be in 2-dimensional and even 3- dimensional form. There is also the time dimension of geospatial information to manage. Beyond the cities, there are other geospatial information to manage – natural resources, the environmental issues (such as climate change, water issues) and so on. I also believe the demand for geospatial information will correspondingly increase. People and organizations need to know when and where things happen. Increasing ownership of mobile devices, such as handphones and PDAs with GPS, adds to the demand for more location-based services. Once decision-makers understand and appreciate the value of graphical presentation of situation, analysis and simulation using GIS, there is no turning back. The common saying – A picture is Challenge is how to get our hands on good authoritative data worth a thousand words – needs no further elaboration. The increases in supply of and demand for geospatial information provide a positive outlook for the industry. While many countries recognized that geospatial information and its exploitation is a rapidly growing and profi table industry, each has its own challenges. Let me share with you a little about the Singapore Geospatial Story. for instance, was in place since 1989. Today, 15 public agencies are sharing some 125 layers of geospatial information through our network, known as LandNet. Since April 2008, the Singapore Public Service has embarked on a new phase. We have decided to link up the Land Data Hub and 3 other data hubs under a national spatial data infrastructure (NSDI) framework. The other data hubs are repositories of data concerning people, businesses and security matters owned by various public agencies. Hitherto, all the 4 data hubs have been developed and operated independently. In our concept of NSDI, Singapore aims to develop an environment in which public agencies can collaborate and share data more easily. We named our NSDI initiative as the Singapore Geospatial Collaborative Environment, or SG SPACE in short. The implementation of SG SPACE will allow geospatial information from many public sector sources to be shared within a consistent reference framework across the public sector. It is our vision for this initiative to go beyond the public sector to encompass the private and people sector, through licensing and the provision of common goods. The initiative will result in removing duplication of data collection, encouraging re-use of data, and making informed decisions and monitoring. A multi-agency and inclusive committee has been formed to drive and coordinate the various action plans. We hope the strong leadership and governance in the committee is sufficient to drive the changes and implementation. We will be inviting the industry in a few months’ time to help us build a national clearing house for geospatial data. In essence, the clearing house will link up all the 4 hubs that I spoke about earlier. It will provide a gateway for easy discovery and rapid access to geospatial information across the public sector. that helps them to deliver their products and services better. Hence, we are also building an intelligence map system that is interactive to serve the public better. Besides presenting the public sector information, the intelligence map system can potentially allow individuals and businesses to use some of the public geospatial information via mash-up. All in all, everyone stands to gain in SG SPACE. 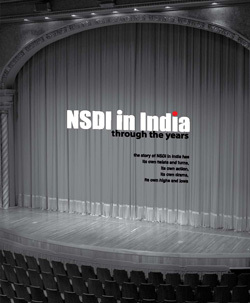 There are many challenges facing those developing an NSDI. I shall highlight 2 of them which I believe are not unique to Singapore. One challenge is how to get our hands on good authoritative data? Authoritative data are those that are closest to the source, authentic and accurate for the functions that they are intended for. Unless we collect all the data ourselves, which is impractical and duplicative, we have to rely on others. However, often the data source owner needs to be thoroughly convinced on our needs before it can agree to provide or share the information. That to me is a reasonable precaution on the part of the data owner. However, sometimes the issue of privacy and security of data could be used conveniently as a reason for not sharing the data. Some of the impediments to sharing are even stipulated by the legislations. Recently, the terrorists who wrecked havoc in Mumbai were reported to have used Google Earth for “location intelligence” and operational planning. This event will undoubtedly reinforce the list of considerations in any future releases of geospatial information. I believe there is no short cut to overcome the impediments to sharing and we must persevere to create a mindset of sharing, and responsible usage. A transparent and collaborative environment is perhaps a good approach to begin. Another challenge is how to convince decision-makers to invest in geospatial applications and information…. Many decision-makers have not realized that geospatial information is essential to them and their businesses. Having been in the military service for 20 years, I appreciate the value of GIS for operations and analysis. Therefore, it did not take my staff long to convince me that geospatial information is essential to the public service too and the idea led to the birth of SG SPACE.